Program Description: This presentation will cover the issues that may arise when a charity is to receive a bequest from a trust on the death of the donor. The overall trust administration process will be described. 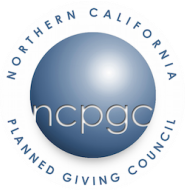 This presentation will provide the information a charity needs to protect their rights as a beneficiary aand how income taxes and estate taxes may impact the amount of the gift the charity receives. Program Description: The program will describe the tax law constraints on political activities of different types of exempt organizations, with a focus on how such constraints affect the ways in which different entities can address political or legislative issues and disclosure requirements. The program will also address issues that arise in international charitable giving.